My digital curriculum job is dead. Long live my digital curriculum job. As of January 7…or maybe later this week…or maybe retroactively January 1, I will no longer work for Time To Know. It’s the end of an era. Time To Know has joined forces with McGraw-Hill Education, and as part of that relationship, I am becoming a McGraw-Hill employee. 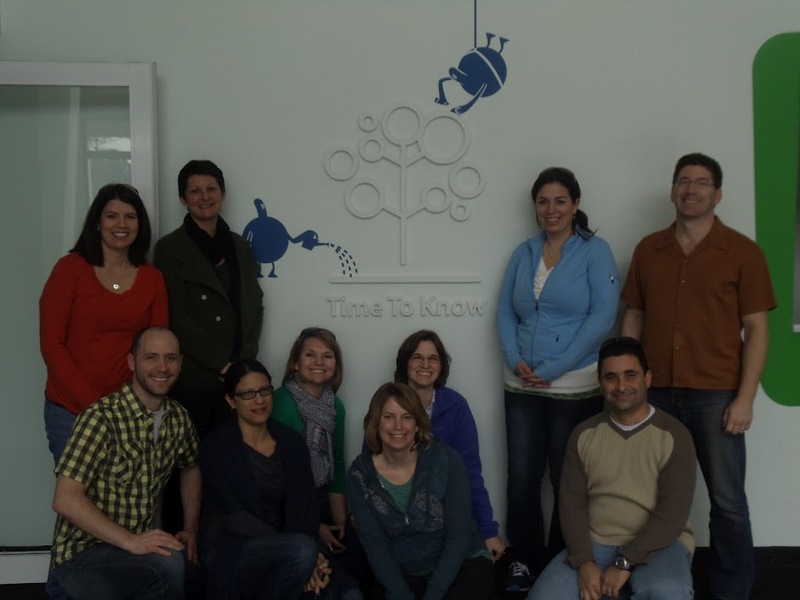 In case you didn’t know, Time To Know is a digital curriculum company based out of Tel Aviv, Israel. 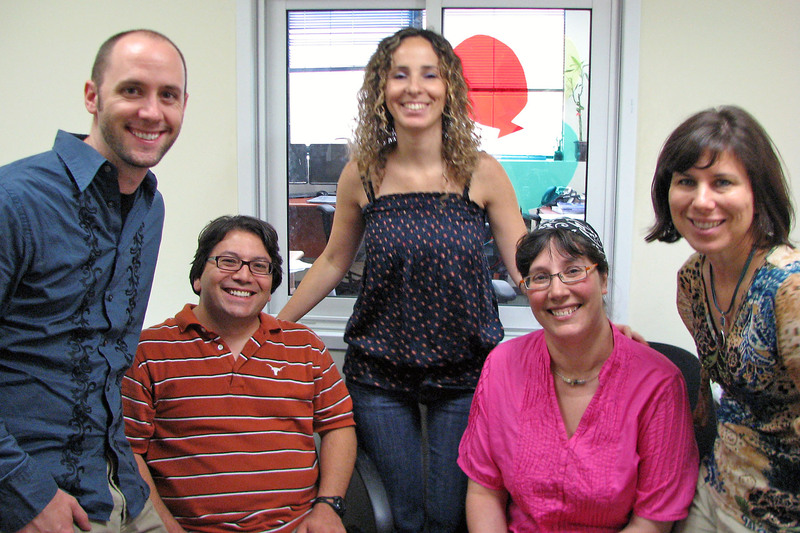 Most of the employees are located in Israel, and they will continue working for Time To Know. Those of us working in the United States, however, were offered to McGraw-Hill. Sort of like a dowry. Thankfully they accepted us. In the end, I think it’s to my benefit to work for a company based out of the US, not to mention a corporation like McGraw-Hill which is able to offer employee benefits a start up like Time To Know could not afford. But before I get all chummy with my new corporate overlords, I’d like to reflect back on the past three and a half years I worked at Time To Know. It’s been an incredible experience (for the most part), and I can only hope that my time spent at McGraw-Hill will be just as rewarding. One of the reasons I loved this job immediately is because I got to argue with people about teaching and learning. In my years as a public school teacher, I found that most of my co-teachers did not like it when I challenged their ideas. Not that I went out of my way to say they sucked or anything. I just naturally enjoy talking out lesson ideas and figuring out how to improve them. That means if I disagree with something and think that it’s not going to be best for the students, then I will stand up and say so. Yeah, that didn’t go over so well usually. No grudges. No matter how intense the meeting, we always came out as friends. But at Time To Know? They encouraged it! I remember numerous heated meetings when I first started working with my team. The best part is that we knew that we weren’t arguing because we were mad at each other, but because we wanted to design the best instruction we could for the teachers and students. 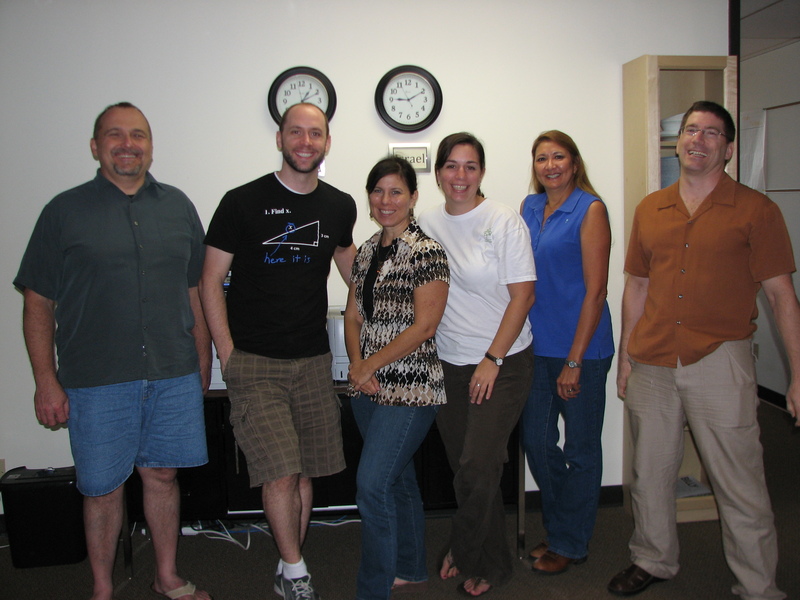 The culture at Time To Know encouraged passion and collaboration in a way I never experienced as a teacher. I’ll be honest, you needed a thick skin to survive on my team. The first time I had to present a lesson I wrote, I was defensive, I was flushed, and my pulse was going a mile a minute. It didn’t help that the review meetings were nicknamed “shredding” because it was often the case that they would offer so much feedback that your lesson felt shredded to ribbons and you were left with a lot of rewrites. Those meetings, tough as they were at times, taught me a great deal about the power of collaboration. You can accomplish amazing things if you can get people in a room who believe in the same mission, speak their minds, and honestly listen to each other. As a public school teacher, I was lucky if I got to travel to Dallas or Houston for a conference. At Time To Know I’ve traveled to Dallas and San Antonio, but I’ve also traveled to Israel, New York City, Ohio, and North Carolina. At this point I’m a bit tired of travel for work, but boy was it a great run while it lasted. Traveling to Israel is probably the highlight of my years at Time To Know. If I’m counting correctly, I’ve traveled there 5 times and I had a blast each time. Of course I was there for work, but I fit in plenty of sightseeing to make it worth it. To be honest, I didn’t know much about Israel before I took this job, and it was never on my radar as a place I’d ever like to visit, but I have to say, if you ever have the chance to go, you should definitely take it. It’s surreal to drive down the highway and see every other exit is a place from the Bible. The country is just sopping wet with history. I’ve been to the Sea of Galilee, Nazareth, Megiddo (the site of Armageddon! 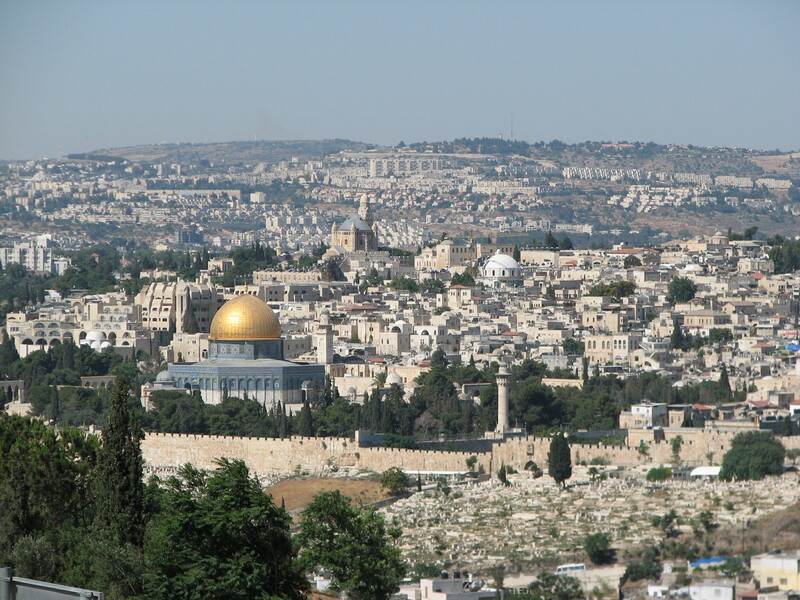 ), and Jerusalem, to name a few places. The great thing is that it isn’t a large country so you can see a lot in a few days. 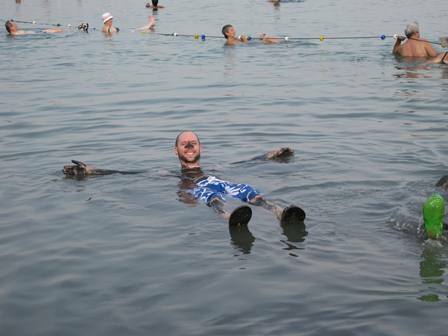 Be sure to go to the Dead Sea. It’s unbelievable. No matter how hard you try, you just cannot sink. Your body wants to float and it will fight you. Even trying to tread water, you’ll feel your feet being pulled out from under you and up to the surface of the water. There’s something magical about it that captured a feeling I haven’t had since I was a kid. And of course eat plenty of delicious food. 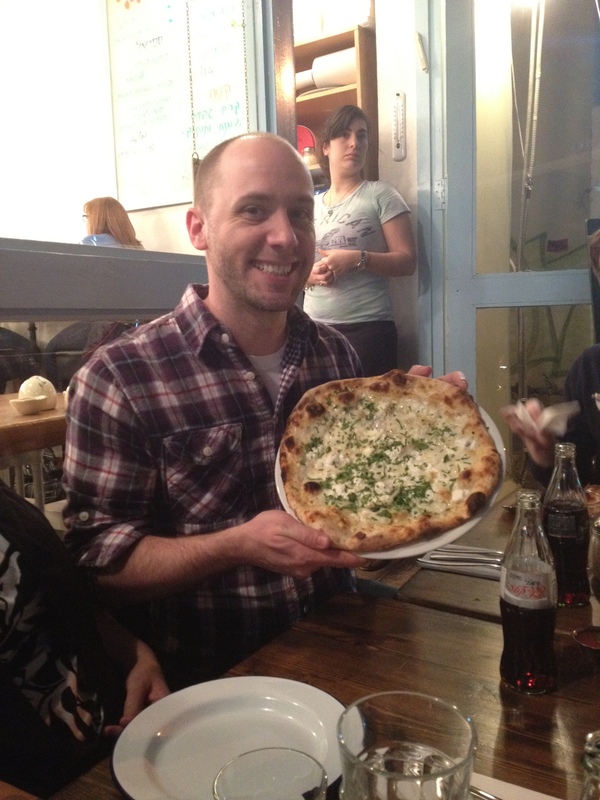 It’s one of my favorite reasons to travel after all, and Israel is one of my favorite places to eat. 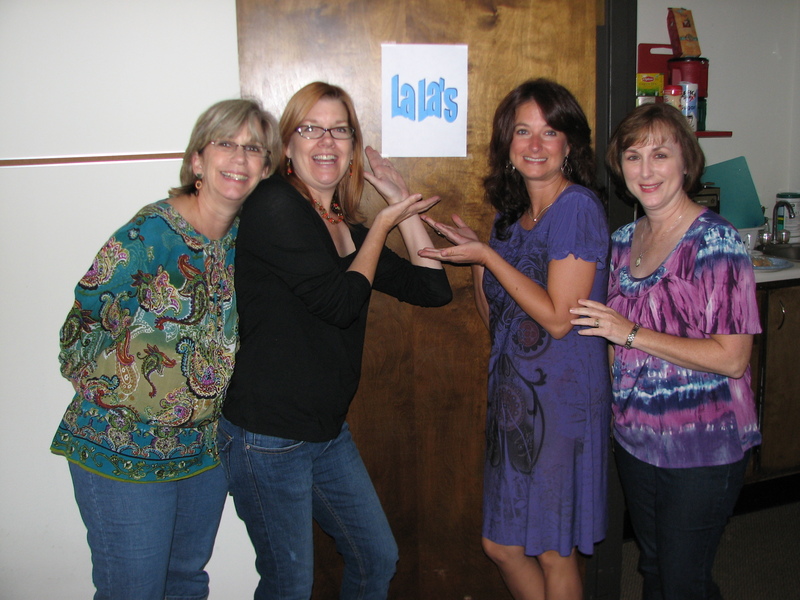 In my office in Austin, there were at one time 6 of us on the math team and 4 amazing ladies on the Language Arts team, nicknamed the La-Las. I can’t imagine what this job would have been like without them. Whereas the math team was usually quiet and deep in thought, the La-Las could usually be heard laughing and telling stories. I’ve never met four people who enjoy working with each other as much as they do. Their specialty was bringing the whole office together for good food and good company. They organized birthday lunches, taco salad potlucks, Thanksgiving feasts, and white elephant gift exchanges. And they made great traveling companions. We’d meet up every evening in the hotel lounge to decompress and laugh together. We tried coming up with a nickname like the La-Las. We were the Mathinators or something. It didn’t stick. And it was kind of dumb. We just weren’t as cool as the La-Las. What we lacked in clever names, we more than made up for in pure awesome. 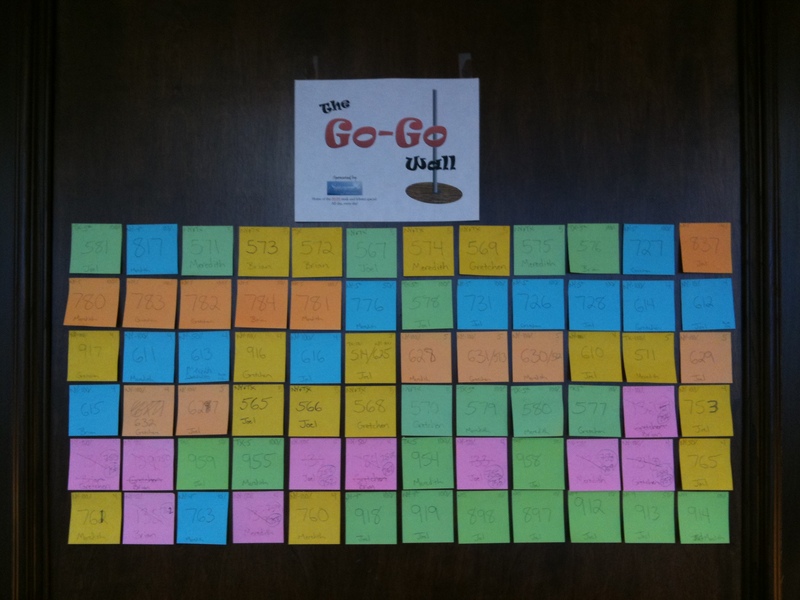 Over the past three years the team I led produced nearly 100 digital math lessons. And when I say lesson, I mean an hour or more of content that involves a wide variety of interactions in the classroom from whole class discussion to individual exploration. I’m proud of the work we did. We were able to meet increasingly tight deadlines without sacrificing quality. I guess that speaks well of our curriculum that it’s something I want to use myself. Nowadays there are so many digital products vying for students’, teachers’, and schools’ attention. Many are criticized for isolating students by plugging them into individualized programs. There’s also a fear that technology products are trying to replace teachers. Check out Dan Meyer’s latest blog post for an example from a charter school. What I love about our curriculum is that it has always been designed to keep the teacher as an important figure in the class. We aim to augment with technology, not take away or diminish. And that’s all I want to say about our curriculum because I don’t want anyone to think this is turning into a commercial. Suffice it to say, I’m proud of the lessons I’ve written, and I thoroughly enjoyed the challenge of writing them. Here’s to great success as McGraw-Hill and Time To Know join forces. While my time as a curriculum developer at Time To Know is over, I embark on a new journey as a curriculum developer at McGraw-Hill…which is to say I’m basically doing the same job as before but my paycheck comes from someone else. I’m thankful that McGraw-Hill has faith in the work we’ve been doing, and they’re allowing us to continue without a lot of interference or unreasonable demands. If all goes well, I’ll continue to develop math lessons to be proud of, and it will be a good long while before I have to write another post like this one. This entry was posted in Uncategorized and tagged capturing thoughts, curriculum materials, me, reflection on January 7, 2013 by bstockus.